All cases and boxes you can see in this section are real jobs made to different customers. Our intention is that this may guide you, taking into account that all our packages can be customized in size, design, colors and finishes. 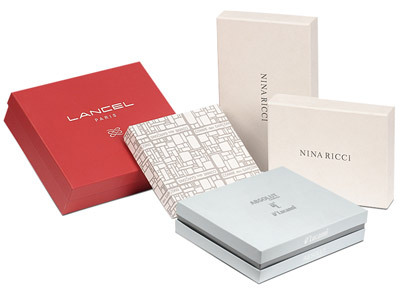 We can also make a box with a personalized print: Here you can include your logos or brands, colors according to your corporate image or you can choose designs and patterns that allow a personal touch and originality to your box. All rights reserved © 2012 Estuches y cajas forradas SL. Marka's is a company dedicated to the manufacture of cases, boxes, lined with deluxe wine and bottles, hams, bundles, boxes and packaging in general.